Bring a picnic basket and enjoy the beautiful scenery of the Roaring Fork Valley. Gates open at 5:30 pm for tailgating. Slow Groovin BBQ from Marble, CO, delivering some of the best BBQ and food in the area is at the rodeo with their mobile kitchen and food truck along with their old school mobile smoker called "Little Pig". 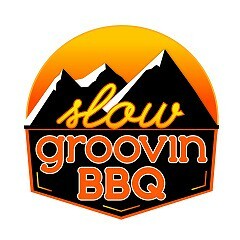 Slow Groovin offers up traditional BBQ with some twists thrown in, creating and paving the way to some of the best Colorado Q around! . 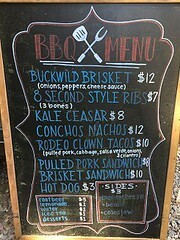 The main menu is listed below, and there will be additional specials at times throughout rodeo season. 90% of the menu is made from scratch and sourced locally to support our farmers and ranches. Enjoy fresh handmade ice cream treats and giant dipped ice cream cookie sandwiches. You've never seen anything like these delectable treats. Take a look at their website https://www.carbondalecreameryandcafe.com/ and get your tastebuds prepped for a rodeo treat. POPCORN is served by Mt. Sopris and Black Sheep 4-H Clubs. Snacks and beverages available from Senior Matters include snow cones, nachos or iced coffee, hot coffee, cookies, water & soda. Senior Matters is a not for profit dedicated to the improvement of quality of life for seniors in the mountain town of Carbondale, Colorado and the surrounding communities of the Roaring Fork and Crystal River valleys. The Organization encourages independent healthy living for seniors by developing, promoting and supporting organized activities and educational programs in our community.